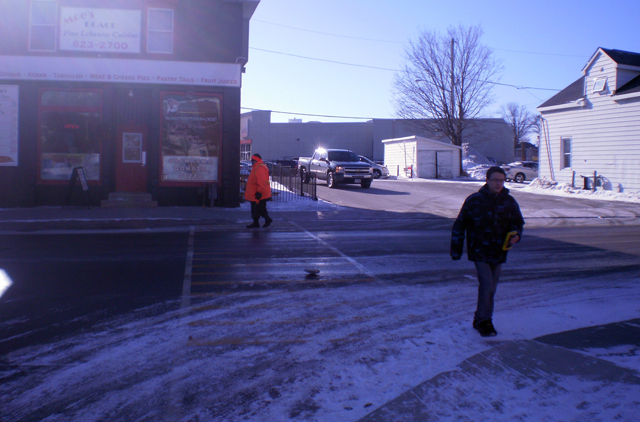 AT the corner of Bell and Madawaska Streets, 12 year Veteran Crossing Guard, Tim, is reportedly retiring soon. Somebody wanted to save money by eliminating this position. But several Town Councillors raised their voices at last Monday’s Town Council meeting. Ted Strike said his daughter was hit by a car at that crossing one day when a crossing guard was sick and nobody replaced him. Lyn Grinstead said her children use that crossing because there is a crossing guard there. Dan Lynch said something to the effect that -kids will always be kids and no matter how many adults warn them that it would be safer to walk one block east and cross at the John Street Light, they’re still going to take the short cut.- Dan Lynch also wondered if grade 12 students who might want to go into law enforcement might volunteer to learn and serve as backup crossing guards as part of their volunteer hours requirement for graduation. Traffic in Arnprior used to be a joke. Ten years ago a friend told somebody, “Rush hour in Arnprior, you might see half a dozen cars in twenty minutes…” Now you might spend twenty minutes trying to get a break to turn across traffic out of a parking lot. 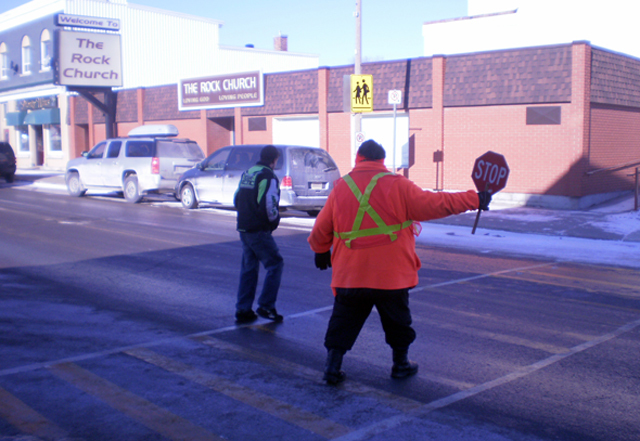 Another thing Tim told me, several years ago one of the crossing guards was hit by a car. They were happy to see him when he began working at this job because he’s tall and easy to spot when he’s wearing his Orange jacket or the vest with the reflective orange X. 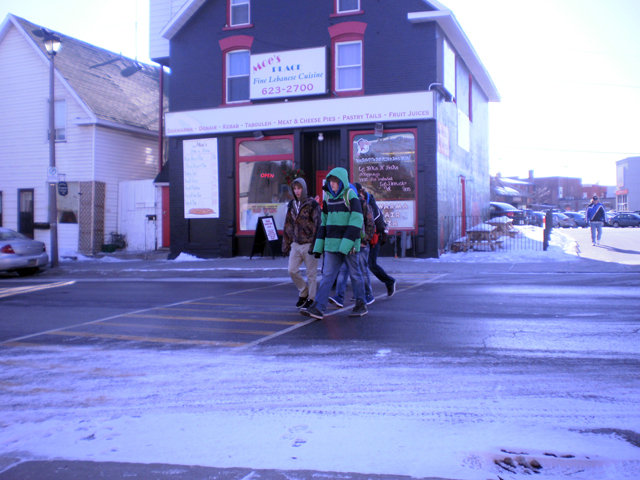 Four more guys cross the street, moving so quickly that they blocked out the crossing guard in the time it took me to aim and shoot this photo.